UKIP leader Nigel Farage says he will step down as party leader if he fails to secure a seat in the House of Commons in May. Farage is currently a Member of the European Parliament (MEP) and was re-elected for another four year term as UKIP leader last year. He said a failure to win his target seat in South Thanet, Kent, would make his role as party leader untenable. He made the statement in his new book, “Purple Revolution,” which is being serialized in The Telegraph newspaper. He wrote: “The consequences of me failing to secure a seat for myself in the Commons would be significant for both myself and the party. The news will be viewed positively in some quarters. 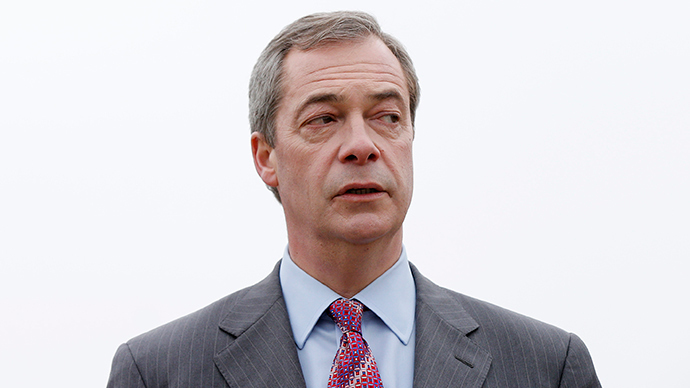 Last week, Farage claimed many British people feel Muslims are an enemy within. He also prompted a race row by pledging to scrap anti-discrimination laws. There are currently two UKIP MPs in parliament. The party won by-elections in Clacton and Rochester and Strood last year after two serving Conservative MPs defected.